A guide to chemistry-related research materials available at LVC. This guide will help you find the best chemistry resources. 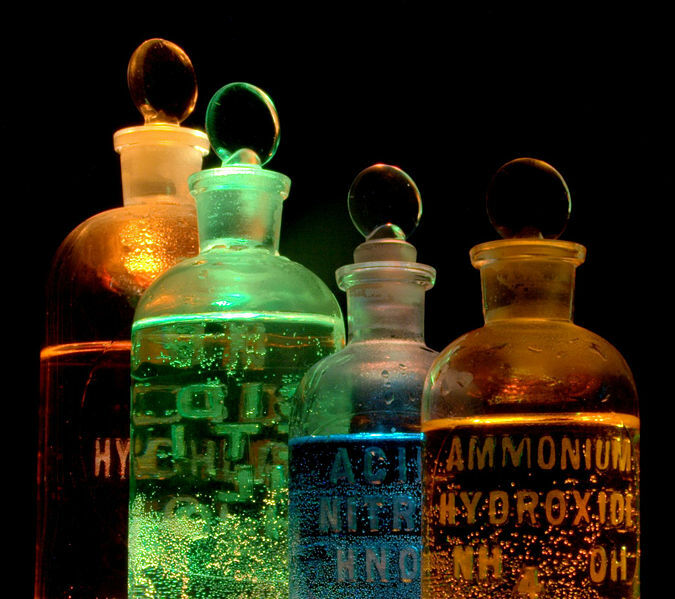 Image: Chemicals in flasks. Joe Sullivan. CC-BY SA 2.0. Wikimedia Commons. For a broad overview of your topic, begin with Books or Ebooks tabs. Under the Articles tab, SciFinder will lead you to scholarly journal articles. Looking for a patent? The Patent tab provides multiple sources to search for national and international patents. Dissertations provides database links that will lead you to dissertations and theses. Properties will take you to a new LibGuide, providing you with many sources of data for physical and chemical properties. Use the Write & Cite tab to find resources on how to write well and how to cite your sources properly. 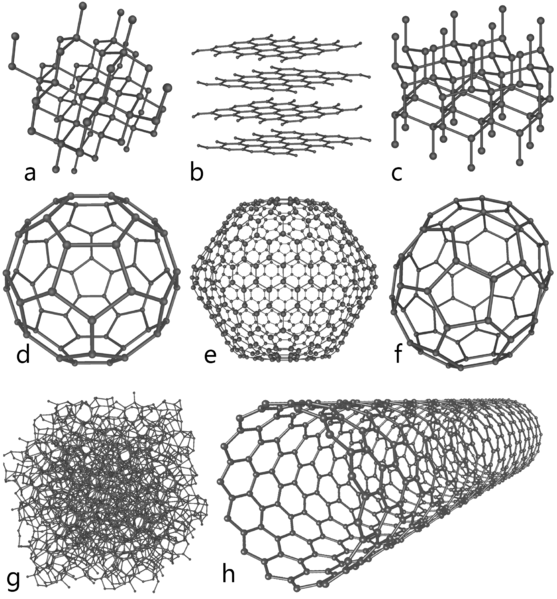 Image: This illustration depicts eight of the allotropes (different molecular configurations) that pure carbon can take: a. diamond, b. graphite, c. lonsdaleite, d. buckminsterfullerene, e. fullerene C540, f. fullerene C70, g. amorphous carbon, h. single-walled carbon nanotube. Michael Ströck. GNU Free. Wikimedia Commons.